Card games have evolved over the years just like our technology, and nowadays it’s more common to find people playing them on their Android devices instead of holding a deck of cards in their pocket. What’s more, people no longer get the same entertainment from games such as Solitaire or Poker, and are instead opting to play collectible card games. 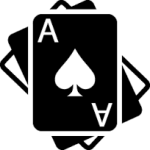 Below is a list of games which are guaranteed to quench your thirst if you enjoy playing the odd card game which is a bit different than you’re usual 52 card deck. We have scoured the store to find the best games for you, so take a look, try them out and if you have been obsessed with any collectible card games then let us know in the comments! Ever heard of World of Warcraft? I’m sure you have. Well the developers behind that massive game also designed a card game – Heartstone. The aim is to defeat your enemy by using your deck of creatures and spells. It involves some strategy but their is a lot of action involved. The more you win, the more coins you’ll earn which you can then spend on better cards. Next up we have Ascension. This little beauty is a real treat to play. It features a great multiplayer mode (which is where most of your focus should lie) however there is also an offline section to allow you to train up and practice. 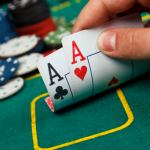 The key to success lies in the deck you construct so take your time and build up the perfect hand. Magic the Gathering…ring any bells? 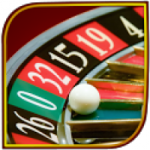 It should do, as it’s one of the most popular card games that has graced technology. Back in the day their was a fantastic PC version of the game, and since then it has evolved with the times and can be found in the palm of your hand as well as on your consoles. In order to defeat your opponents you’ll need to make sure you master the art of strategy. Devise your deck and perfect it by unlocking new cards after victory. 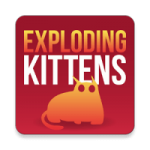 Exploding Kittens is one of the highest crowd-funded projects that has graced the Internet. From the funds raised, this gem of a game was created. It’s the digital version of the popular card game where you need to avoid exploding cats (which can be difficult and luck will play a part) as well as imposing your own strategy. Imagine Russian Roulette but with kittens, explosions and fun, colorful cards. Lastly we have Order & Chaos. 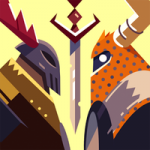 It’s similar to some of the other card games on this list although you can sacrifice henchmen during battle and earn more points…although you’ll need to be strategic and careful as you play. Build and improve your deck as you progress to become the ultimate card master.